Posted on Monday, March 6th, 2017 at 9:47 am. We are past that time of year of dark mornings and short days; and at ValHeliSki, we love that! Since our last blog post, we’ve received even more blessings from the Snow Gods, and it’s forecast to continue over the next few days. Over a metre of the wonderful white stuff has fallen in the last week and another metre is forecast to fall in the days ahead. The weather is then set to return to beautiful blue skies, allowing us to take full advantage of all this snow! 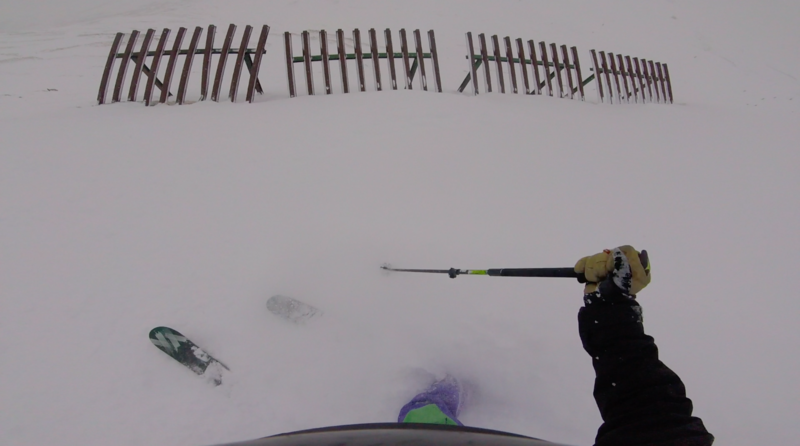 Gaps in the the weather have enabled me to ski all over the resort this week. With better visibility up top, the highlight was skiing Point De La Sana, which has been on the bucket list for quite some time. 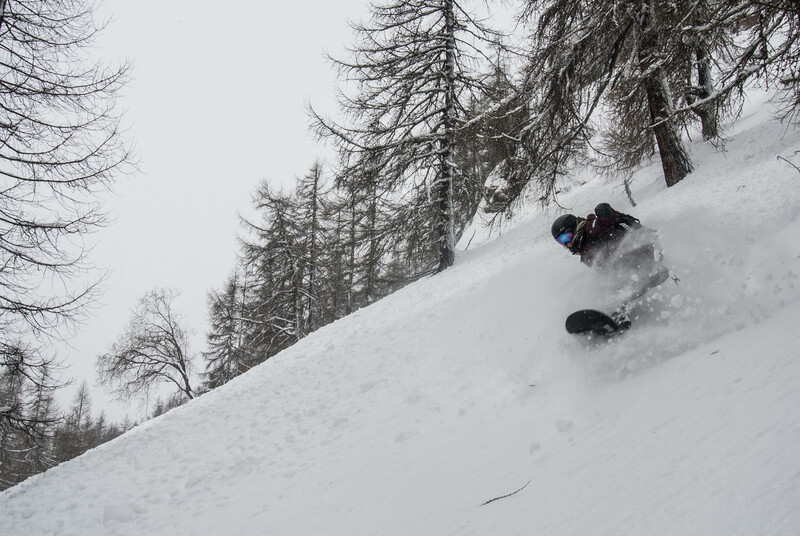 In periods of low visibility i’ve been sticking to the tree runs of Fornet and Les Boisses, where deep pillows runs are found in abundance. As always, with all this snow, the avalanche risk is still high at 3/5. Make sure to have your transceiver and ABS pack order cheap propecia online with shovel and probe. We also thoroughly recommend going out with an experienced guide to ensure the highest levels of safety; but also to make use of their vast knowledge of the best places to ski with the current conditions. Piste quality is still very good, with soft, grippy snow being found all over the mountain. With half term over, and much quieter pistes, they are staying in great condition throughout the morning and into the afternoon. Posted on Thursday, March 2nd, 2017 at 8:25 am. After a few weeks of no snow fall, and unusually high temperatures for February, laying down those fresh tracks we’re all after, has been nothing but a pipe dream. However, that dream is now a reality, with 38cm falling on tuesday and a further 20cm on wednesday. I have stuck to skiing the tree runs in Les Boisses and Fornet, due to the high winds and poor visibility up top, and the skiing has been fantastic! Be aware that due to the wind, we have lots of wind loaded snow, and advise precaution if venturing to higher elevations. The avalanche risk is currently at 3/5, so please make sure you have the correct equipment, and do not venture into unknown territory without an experienced guide. Looking ahead, more snow is forecast throughout the week, with some sunny spells and another big dump over the weekend! 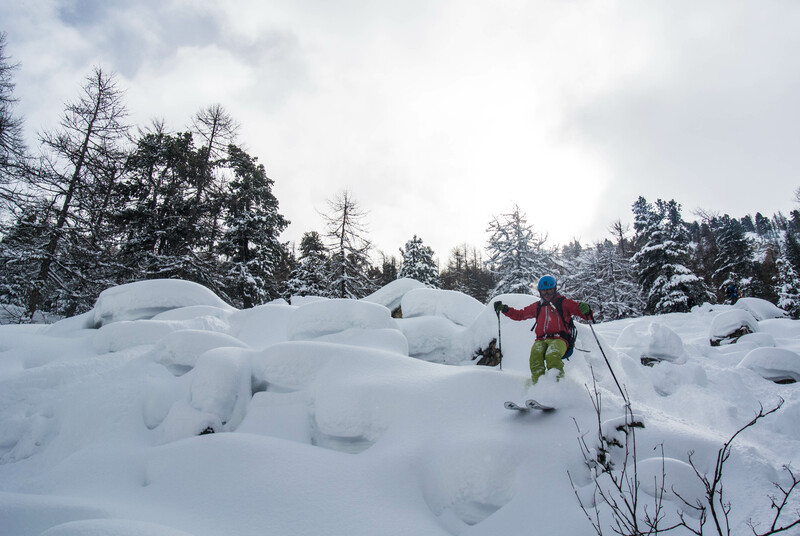 The pistes are in fantastic conditions with the recent snowfall, filling in where rocks were starting to appear. If you love your carving, be sure to grab the first lifts to make the most of the hard work put in over night by the pisteurs. 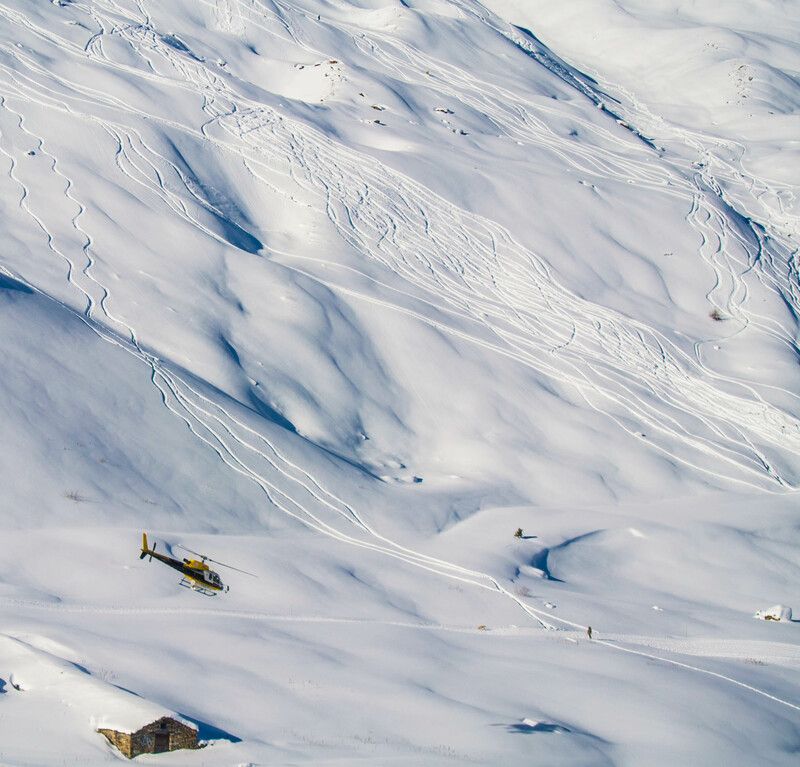 Heli ski conditions are set to be as good as they can be ( EPIC! ) as soon as it settles down in terms avalanche risk. Looking towards next week, when the weather settles, you will not find better conditions to jump in the heli and shred the endless untouched powder. Posted on Friday, December 9th, 2016 at 9:59 am. COURSE OVERVIEW: An overnight trip to a backcountry refuge located outside of the resort boundaries. We depart from the Tichot chairlift in Tignes with the use of Ski Touring equipment or Splitboards after the lifts have shut – after a 2hr hour tour under starlight, we arrive at the refuge where a log fire and dinner welcomes you. 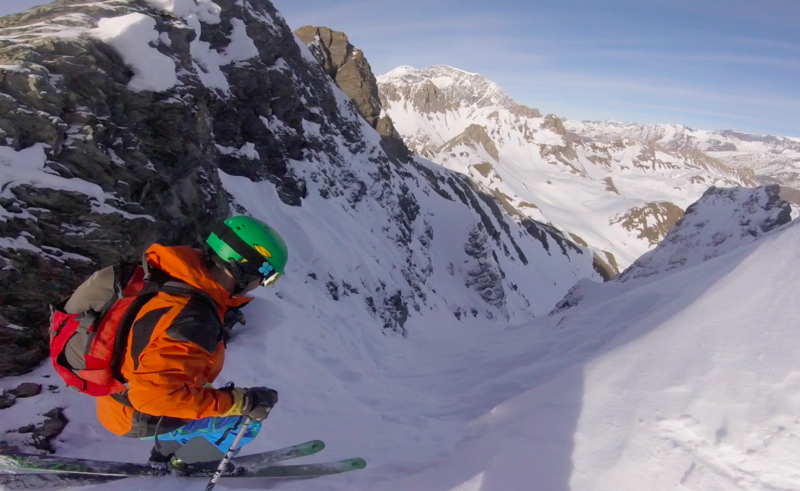 A true backcountry experience with nobody around. Posted on Friday, November 18th, 2016 at 12:48 pm. Here are some photos from Tignes / Val d’Isere local Marcia Nash, showing a brilliant order generic propecia online start to the 16/17 winter season here in the Espace Killy! Posted on Monday, March 28th, 2016 at 10:00 am. Calm and settled conditions have ruled through the previous week, with Spring taking a firm grip on the end of March. But more unsettled conditions look to be coming through into the week ahead with the possibility of moderate snowfall. I’ve been doing a lot touring outside of the resort boundaries to find some of the best snow, even then you need to get the timings correct to ensure you don’t end up on re-frozen snow! Hiring a guide is the best way to guarantee that you find the best snow based on the days weather. Tours such as Point de la Sana, Col de la Premou & Roches Rouges have given some fantastic snow conditions away from the hustle and bustle and tracked out conditions found on the sidecountry lines within the resort – again, if you’re looking at getting some touring done around the Espace Killy, be sure to take a look at our guides page to get a list of local guides and instructors who could show you the best touring in the region. Many of the north faces are still holding some slightly drier snow that hasn’t been affected by the sun (due to the aspect). Pisteurs Couloir was holding some grippy, chalky snow which required a good set of edges to comfortably get down it – this will be a similar story to many of the other north facing faces/couloirs in the resort until we get another top up of snow (potentially) this week. The pistes around the Espace Killy are still in fantastic condition, with fresh grooming to be had for the early buy cheap klonopin risers all over the resort. Pistes lower down in areas such as Les Brevieres / Les Boisses are setting up firm in the morning after an overnight freeze but softening by lunch time as the sun comes around to warm the lower slopes up. With a busy resort this week for Easter week, expect the pistes to get quite bumpy after lunchtime, the morning will be the best time to get the best piste skiing across the whole resort. You will be more likely to find quieter pistes in areas such as Les Brevieres and Les Boisses and with that, great lunch stops to get yourself away from the crowds. With the potential for some more snow this week, off-piste conditions could improve significantly due to the superb snow depths that we currently have in resort (142cm at 2100m and 240cm at 3000m) and with the addition of fresh snow on top of this base, it will give some great sliding in many areas. With the addition of this fresh snow on the current snowpack which has been though many melt-freeze cycles, you must still be considerate of the avalanche danger, which will rise following the addition of the fresh snow and particularly when the sun warms the slope, the snowpack will become very water saturated – increasing the danger for surface avalanches. 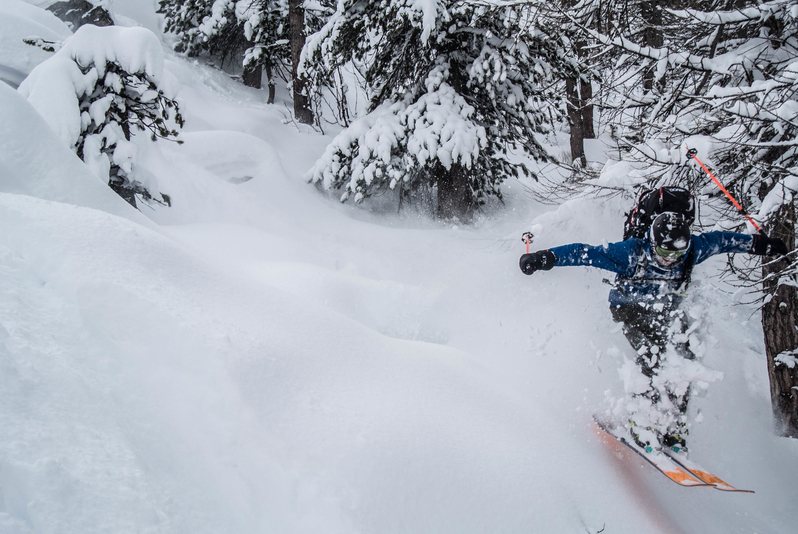 Heliskiing has some excellent conditions over on the French/Italian border, with untracked fresh still being found higher up in the alpine, now is your last chance to get up in a heli for this season with Val Heliski! Posted on Monday, February 15th, 2016 at 8:47 am. Some periods of settled conditions have allowed us to escape the driving snow and wind which has dominated this week and brought large amounts of snowfall to all areas of the Espace Killy. I’ve been limited my skiing to the great tree runs around Les Boisses and Fornet during the past week, due to the time it has taken to open the upper lifts, strong winds and heavy snowfalls creating potential hazards higher up in the ski area. 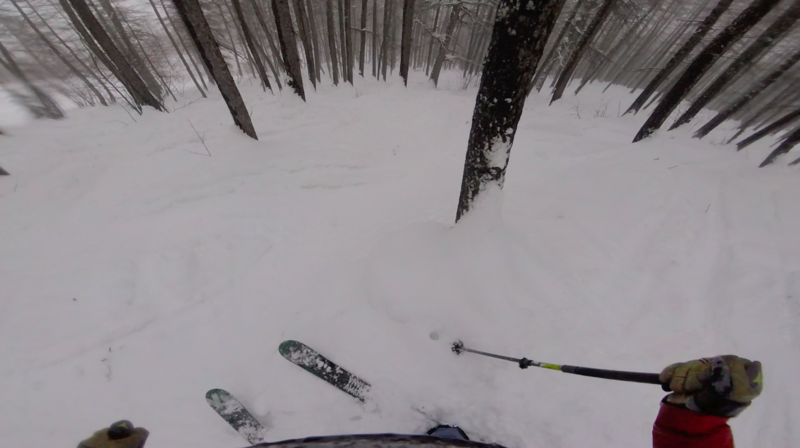 The tree runs have held some dry blower fresh powder in many areas, with constant filling in due to heavy snowfall. 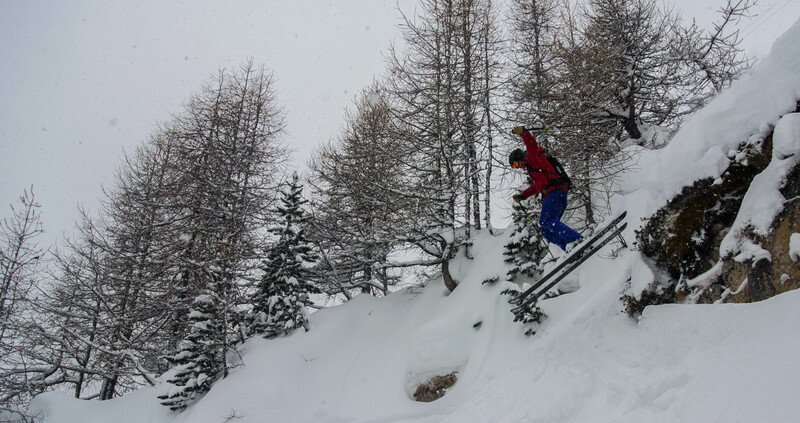 These runs have become super playful with all this fresh snow with many natural features providing great airtime. There have been brief periods of settled conditions that has given some great visibility even on the upper slopes, these have allowed many skiers to get into many of the larger face routes around the Espace Killy, but please be aware that the avalanche danger is still extremely high with all the fresh snow and wind transported snow. Where there has been good visibility, we’ve had some chances to get in and slash the untouched, dry and fresh powder higher up in the resort which has been brilliant! I managed to find some great untracked snow around the Laisinant Chairlift area today (Saturday 13th) in a brief pause from the stormy weather, with an absolutely empty mountain – thank you transfer day! With the heavy snowfalls that we are currently receiving (~30cm fell today) and with it being buy cheap propecia finasteride transfer day, there has been huge tailbacks on the road up to Tignes / Val d’Isere all the way back from Bourg. Please bear this in mind when thinking about driving to resort – snow chains are mandatory whilst travelling up the road. 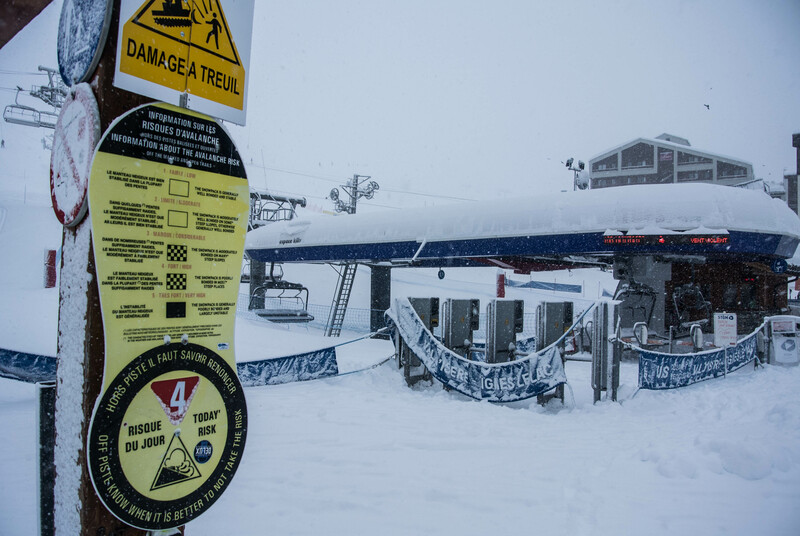 The Tignes / Val d’Isere link has also been shut frequently throughout the week, due to high winds. The link may be open early in the morning / afternoon, but please be aware that it may suddenly shut due to a change in the weather conditions not permitting the upper lifts to run. We are currently seeing lots of snow being shifted by the wind – particularly on higher elevations, be aware that this will create large amounts of wind slab on N – NE facing slopes, especially above 2500m. When the weather does clear in the week, remind yourself that there will be instabilities of this windslab sitting around the resort and will not take much weight to release this instability. There is also quite obviously lots of fresh snow falling, this will create large amounts of soft slabs to form in more sheltered locations (such as trees and couloirs) – consider the danger of releasing small surface avalanches in these locations where the top layer of snow is not well bonded and will ‘sluff’ off as a skier/boarder passes over it – enough to take you knock you off your feet & over a nasty cliff! Posted on Thursday, January 14th, 2016 at 6:19 pm. The snow just keeps falling in huge quantities over the Espace Killy with over a metre recorded to have fallen over the past 6 days and another 20cm in the forecast for today (Thursday) creating some fantastic skiing conditions. ..But also some dangerous avalanche conditions – play safe out there! The Tignes pistes are in fantastic conditions with frequent snowfalls and constant grooming overnight leading to perfect pistes being set up in the morning. Please still be aware that many of the higher lifts will be slow to open after large snowfalls as the Ski Patrol teams mitigate the avalanche danger around the pistes. As has been reported in previous backcountry reports, we have had consistently large amounts of snowfall on a day by day basis in the Espace Killy, this fresh snow has sat on very old melt-freeze snow from the long drought period before and throughout the Christmas period. Because such a large slab is sitting on such a weak layer below it, we are witnessing a very dangerous snowpack with large slab avalanches being released both naturally and skier triggered on a variety of aspects and elevations – be very aware of this if you’re even thinking of heading off the pistes and don’t even consider doing so without the correct equipment, knowledge and a guide if you feel like you are not suitably experienced to judge the danger of a slope. Due to all of the above, I have buy generic propecia once again stuck to mellow slopes lower down in the valley below the tree-line as we’re starting to find large quantities of windslab following very high winds higher up in the Alpine which to stress once again – this windslab is sitting on an extremely weak layer below. Tree lines down towards Les Boisses have been fantastic and if you don’t fancy heading off the side of the pistes then you will still find great visibility down towards Les Boisses as the pistes wind their way through the Boisses forests, creating much improved visibility than that of the Alpine. After Today’s (Thusday) snowfall, there looks to be a break in the weather with only a smattering of snow falling from Friday – Sunday with the temperatures dropping again with this clear spell over the weekend. The visibility looks set to improve from Saturday through to Monday which is going to create some great skiing conditions combined with the huge amounts of snow that we’ve received over the past 2 weeks, but please always remember that all the untracked powder is sitting on a dangerously weak layer. The visibility will also allow you to check the slope above you prior to skiing your line – ensure that nobody is skiing a potentially dangerous slope above you. Posted on Monday, January 11th, 2016 at 10:22 am. The end of the week has given way to some more unsettled conditions in the Espace Killy, dumping another load off snow on the snowpack, topping up things nicely, but please don’t forget that the avalanche danger is still high at all levels. The Espace Killy pistes have obviously had a nice top up overnight and have set up nicely ready for morning groomer. The pistes are again beginning to become bumpy and tracked out by the end of the day, so be aware of this in the flat light. With the forecast high winds for the week ahead, please also be aware that the Grand Mottes may not be able to open. The Espace Killy Ski Patrol team have begun to get lifts open earlier after the later openings in the mornings following the heavy snowfall earlier in the week. But please be aware that with all the fresh snow that’s forecast to fall early this week that the lift system will be slow to get started – particularly the higher lifts as the Ski Patrol team blast the dangerous slopes around the runs. Similar to the start of last week, I have yet again been sticking to the fantastic tree runs around the Espace Killy, in La Dialle, Fornet and Les Breviere due to the avalanche conditions and poor visibility higher up. The tree runs have been set up perfectly in the morning with some fantastic fresh to be found after buy lasix overnight snowfalls. Later in the day, the recent mild temperatures have began to turn the cold, dry snow into warm and wet porridge which has been slow to slide on. Don’t worry though, as from Monday (11th) onwards, there is forecast to be a sharp drop in the temperatures and with all the fresh that’s forecast in the week, these tree runs should be running great all day! With huge amounts of snow in the forecast at the start of this week, please make sure that you and your ski / board partners are well equipped and well trained in avalanche safety before you even plan on heading off-piste. Be well prepared to change your plans based on the avalanche conditions off-piste and if you are not experienced in travelling through avalanche prone terrain or would like like to learn more about avalanche terrain and improve your off-piste skiing technique then please do consider hiring a guide to not only keep you safe, but let them show you all the secret powder stashes! 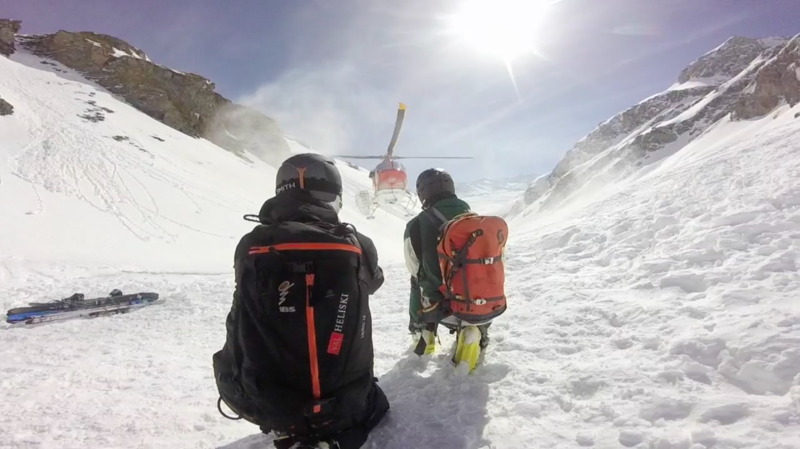 Another way to enjoy all this fresh snow is to join us for a Heliski trip departing from your chalet in Tignes or Val d’Isere, flying over to Italy to grab some guaranteed freshies with the safety of your fully certified IFMGA Mountain Guide. With the recent avalanche conditions, we’re keeping our backcountry skiing to the mellow slopes 30 degrees and below but still finding some fantastic fresh! Posted on Friday, January 8th, 2016 at 10:04 am. The past week has given the Espace Killy over a metre of snow which has given some fantastic powder all over the mountain. There is also another metre or more of snow in the week long forecast which is going to continue give us fresh tracks all week! All this fresh snow has created an extremely dangerous snowpack, as the fresh snow has sat on a weak layer of snow with a buried surface hoar hiding within the North facing slopes and a melt-freeze layer buried beneath all the fresh snow within the South facing slopes. 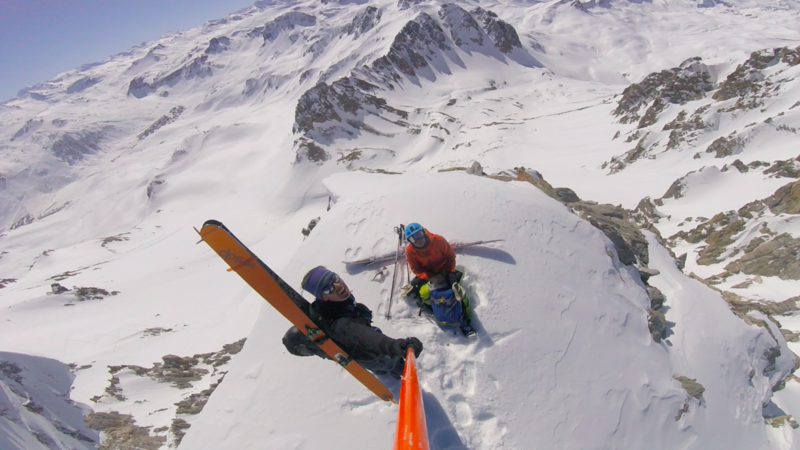 This extremely dangerous snowpack has sadly already taken the lives of two skiers in the Espace Killy, both of them were skiing in Val d’Isere. These two skiers could not resist the temptation of skiing untracked snow so soon after a big dump of snow, they were sadly not wearing the recommended equipment of a Transceiver, Shovel and Probe whilst travelling off-piste. Please make sure you are adequately equipped what travelling off-piste and most importantly, have the knowledge of how to use this equipment effectively and select the terrain you’re descending based on the current avalanche danger rating – which will stay high for the rest of the week. 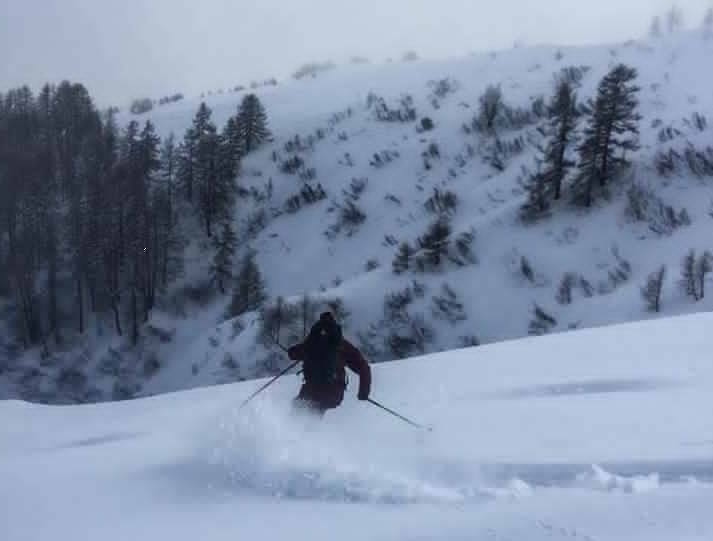 The Espace Killy off-piste has given some fantastic thigh deep snow after the recent storms. I have been sticking to many of the tree runs around La Dialle, Fornet and ‘Super S’ which all have an more than adequate snow base to run these lines. Temperatures increased quite suddenly yesterday whilst in the Fornet trees which let to very water saturated snow underfoot, this snow was extremely heavy and slow to move on. However, purchase propecia there doesn’t look to be another spike in the forecast so that looks to be the worst of it over! If you do not know where to travel to find the best and safest snow, then please consider hiring a local guide or instructor who will have the knowledge and experience to select the best routes to descend based on your ability and the current snow conditions. The pistes around the Espace Killy have been set up absolutely perfectly in the morning with the early risers sampling some freshly groomed soft snow. Later in the day, the pistes are becoming quite bumped out with all the soft snow being thrown about, get down into the lower pistes such as Les Boisses, Les Breviere & La Dialle where the trees will give you a little more contrast in this flat light and allow you to see the bumps. The forecast for the rest of the week looks to be much of the same, with fresh snow falling Friday, Saturday and Sunday so expect flat light and lots more fresh. The avalanche warning will remain high (4/5) with the addition of more fresh snow on the weak layer below. Please be patient in the morning whilst waiting for the Pisteurs to blast the dangerous slopes before getting the lifts open. 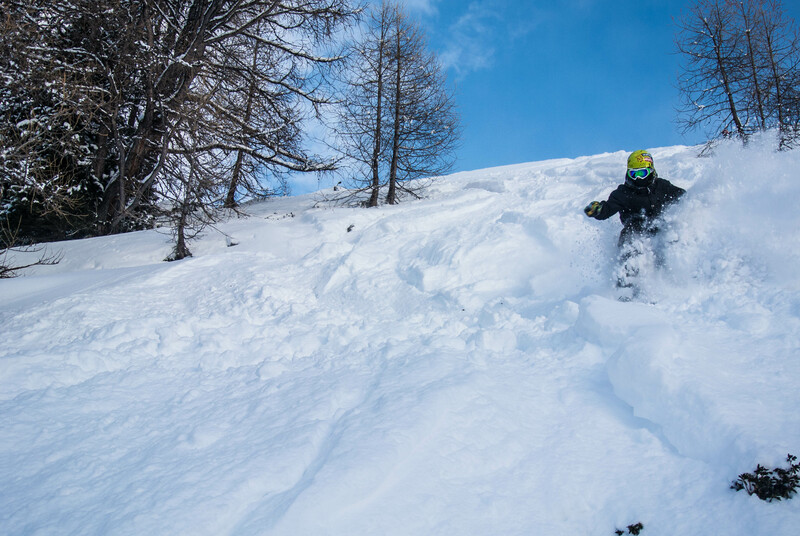 Heliskiing conditions have taken a sharp turn for the better with all this fresh snow, book onto a Heliski trip departing from Tignes this week with Val Heliski and enjoy the peace of mind whilst our guides select the best slopes for your group based on the current avalanche forecast. Posted on Tuesday, January 5th, 2016 at 9:37 am. The New Year began with some fine, dry and settled conditions but the weather pattern swiftly changed from the 2nd January onwards which has led to the Espace Killy (the whole Alps for that matter) gaining some much needed snow! Over 60cm has already fallen through the period 2nd January – 4th January and there’s heaps more in the forecast for the week and the long term forecast. The pistes in Tignes have obviously been topped up very nicely from the recent snowfall, with all the pistes that had been hit hard by the recent mild weather and were previously showing rocks have now been groomed to perfection ready for the morning sliding. is new snow that has fallen onto a weak layer below, the Tignes Ski Patrol team need to spend more time in the morning to get the runs safe enough to be able to run many of the lifts, please expect large queues in the morning with only a couple lifts running whilst the Ski Patrol team are blasting the steep slopes to make it safe to open the resort. 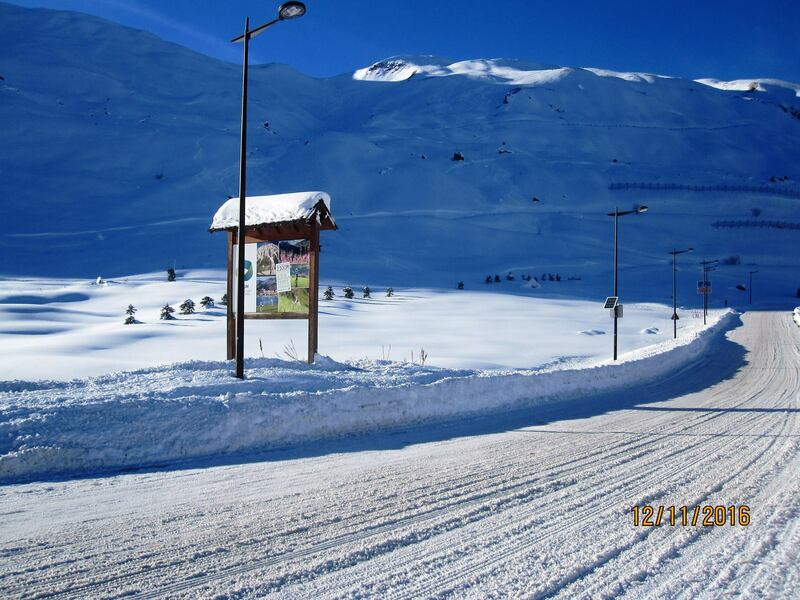 Also, many pistes that were previously open before the big snowfall are now closed, for example, the pistes that allow you to ski from Tignes to Val d’Isere were shut due to avalanche control that was taking place around them. 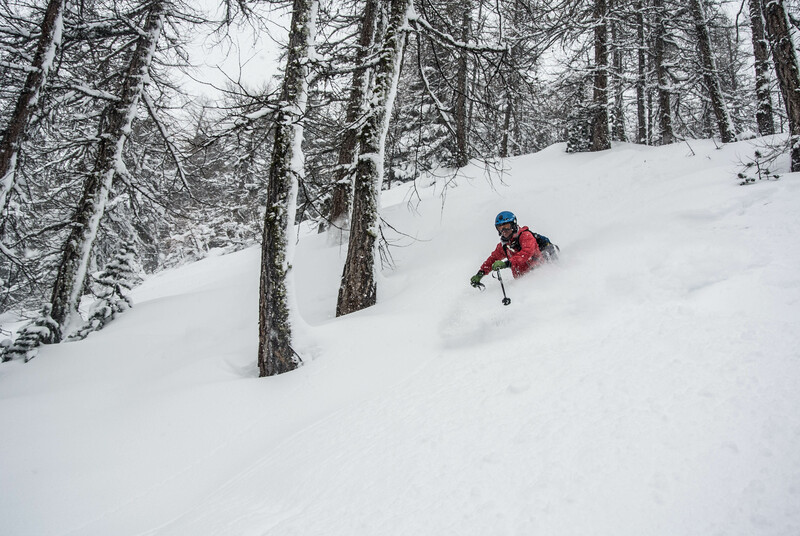 Off-piste runs have also been topped up very nicely with the recent dump of snow. However, extreme care must be taken when heading off-piste due to the large volumes of snow cheap propecia online sitting on a layer of weak snow that it will not bond well with at all. The current avalanche conditions are category 4 (High) on all elevations and all aspects so please bear this in mind when heading off piste and carry the minimum requirement when travelling off piste – a Transceiver, Shovel and Probe which the knowledge and partners with the knowledge to rescue a potential victim of an avalanche. It is highly recommended to hire a guide if you would like to head off piste in these conditions as they will know the best slopes that they can take you on to keep your party safe in this extremely weak snowpack. 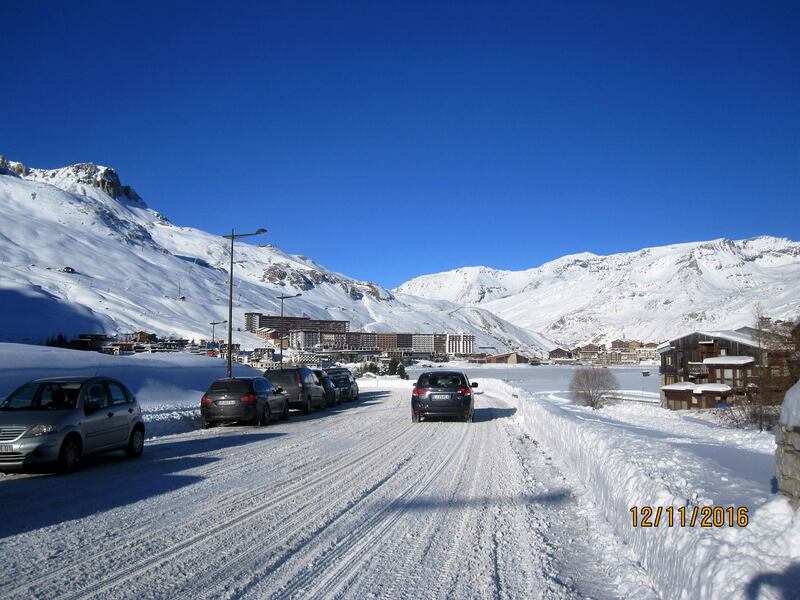 The roads up to Tignes have been an absolute nightmare, with fresh snow looking to be falling all week please make sure that your car is equipped with winter tyres and snow chains in the boot, there have been many cars getting stuck on the road up to Tignes over the weekend! The weather forecast for the week ahead is showing another approximately 100cm in the forecast with the potential for that number to be even higher. This is obviously going to be fantastic for the resort conditions, covering many of the rocks that had not been previously covered by the recent snowfall. 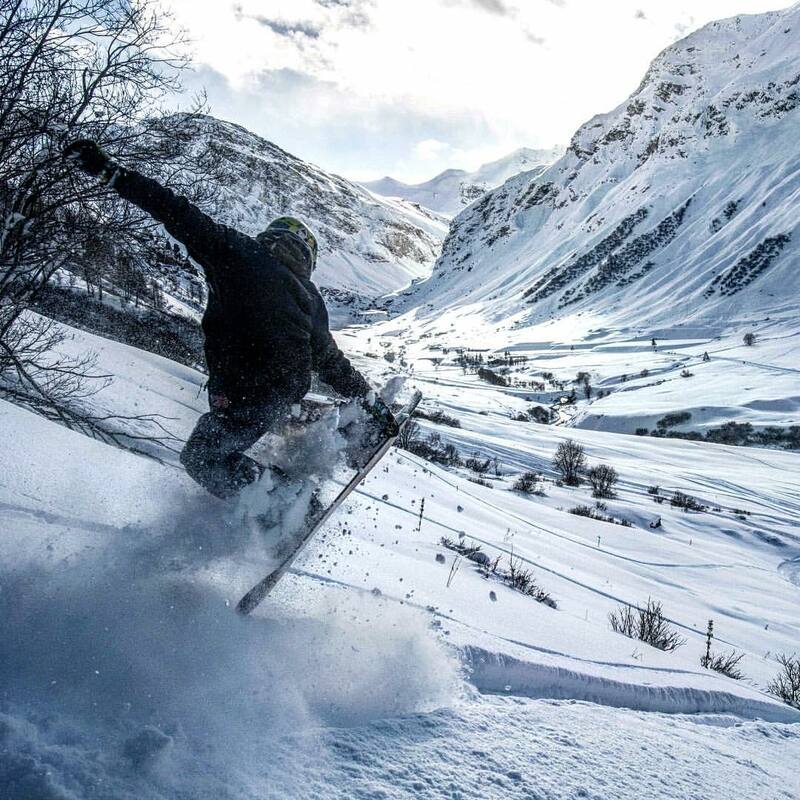 Heliskiing is very much open at Val Heliski with many of our drop zones holding some fantastic powder, there hasn’t been a better time to escape the crowds and jump onto a heliskiing trip departing from Tignes to find untouched powder!